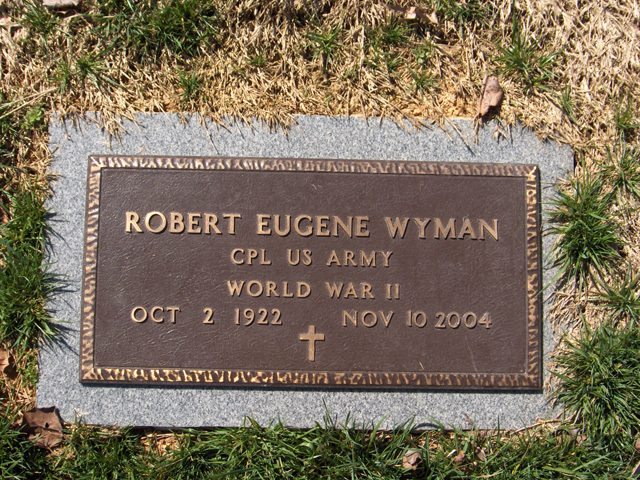 Robert "Bob" Eugene Wyman, age 82, of Highland Springs, VA and formerly of Lutesville, Mo died Wednesday, November 10, 2004, at Memorial Regional Hospital in Richmond, VA. 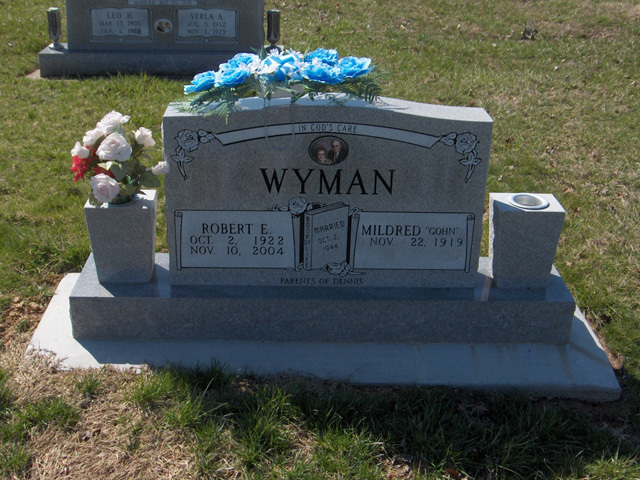 He was born October 2, 1922 in Richmond, VA, son of Floyd L. and Anna Wagner Wyman. He married Mildred Ida Gohn on October 2, 1944 in Corning, Arkansas. Mr. Wyman worked for Service Machine and Welding CO, a member of the D.A.V., a 50 year member of the New Bridge Baptist Church, and served his country proudly in the Army Air Corps during WW II. Survivors include: his wife Mildred of Highland Springs, VA, and one son Dennis E. Wyman of Richmond, VA.
Visitation will be Sunday, November 14, 2004 from 4:00 to 8:00 PM at the Liley Funeral Home in Marble Hill. Funeral Services will be Monday, at 11:00 AM at the Funeral Home with Rev. Dale Huff officiating. Burial will follow in the Bollinger County Memorial Park Cemetery near Marble Hill with full Military Honors provided by the Missouri Military Honors Team.